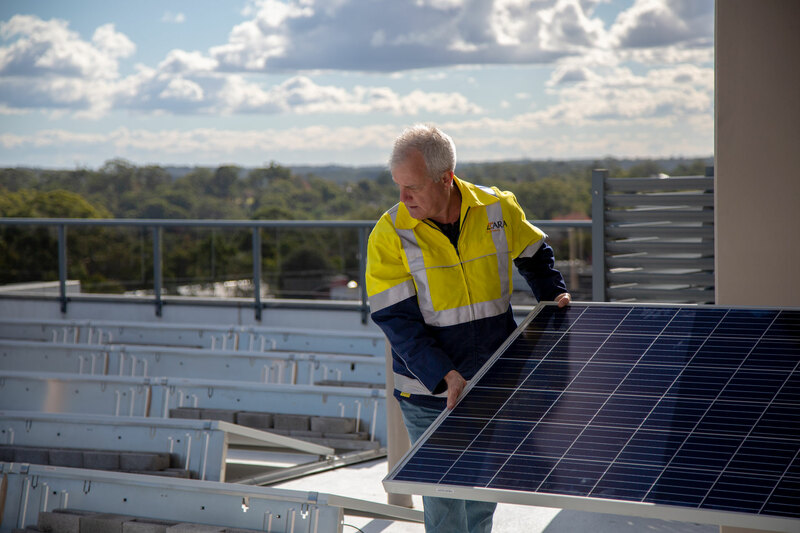 ARA Renewable Energy provides solar PV (photovoltaic) systems, including solar panels, high voltage systems and switchboard manufacturing for large-scale commercial, industrial, urban and regional renewable energy projects across Australia. Our qualified in-house staff provide a complete Renewable Energy Service to perfectly complement the quality electrical services offered by ARA Electrical. This includes everything from initial site inspection to Energy Efficiency Audits and Solar Viability Assessments (including cost-benefit analysis and payback of investment), through to the design, procurement, construction, installation, monitoring and maintenance of solar PV systems. We provide solar battery storage for hybrid grid connected solutions and off-grid power supplies and can also be engaged for optical fibre connections and solar farm projects. All of our end-to-end, in-house solar PV services are covered by ISO 9000 Quality Certification. ARA Renewable Energy can provide an upfront discount for systems under 100kW and provide assistance to set up the process required for claiming the government rebate available for systems over 100kW. Contact us for all enquiries.